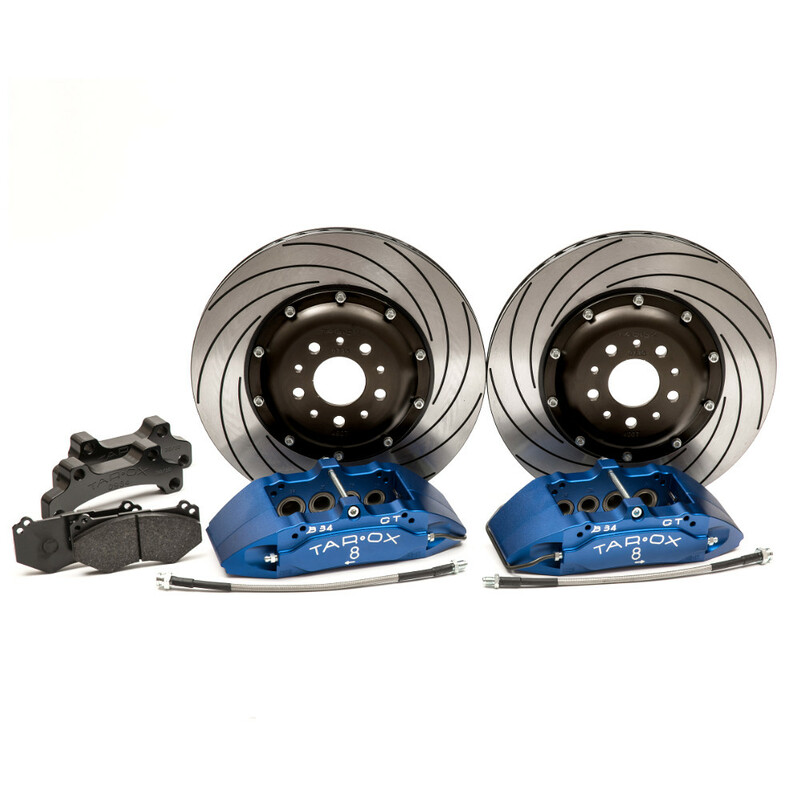 TAROX big brake kits are always tailored to the vehicle, offering owners improved braking across all aspects of driving whilst maintaining a firm usable pedal. 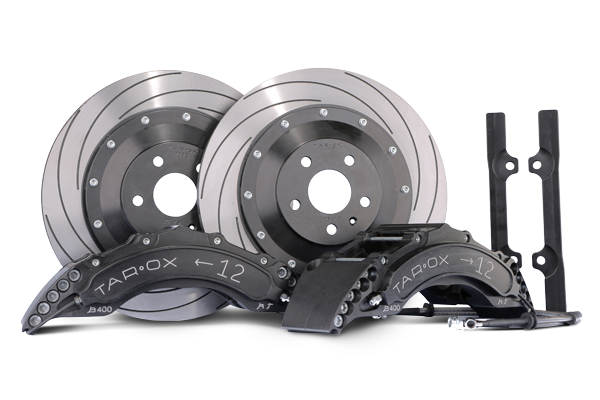 TAROX kits often offer a decrease in crucial un-sprung weight and, very often, due to the slim profile of the calipers, fit inside an OEM wheel. When developing kits we use state-of-the-art live brake ‘mapping’ ECU plug-ins and pedal pressure sensors. With this we can achieve an accurate measurement of a car’s standard performance. These procedures allow us to gather data to ensure real improvements to performance, pedal feel and durability. 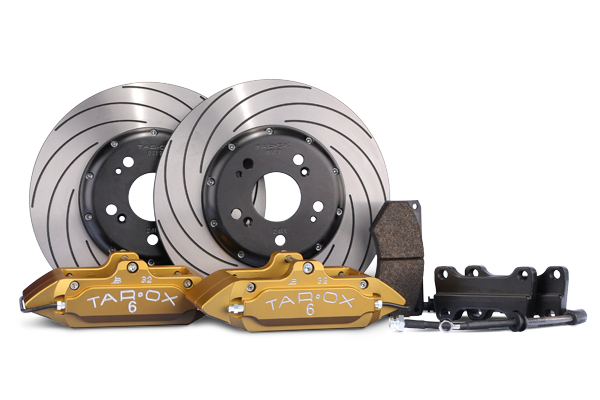 TAROX tailors the size and number of pistons for every application individually, maximising the braking performance available from a vehicle’s master cylinder and brake servo without negatively affecting the feel of the brake pedal. 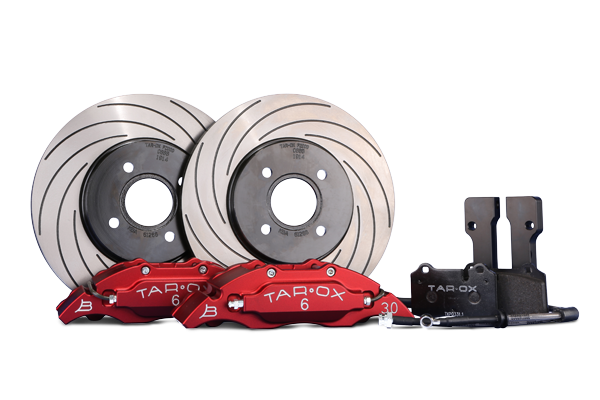 All TAROX big brake kits feature calipers CNC machined from the highest quality billet alloy and each unit is built and tested by hand at our Italian factory. 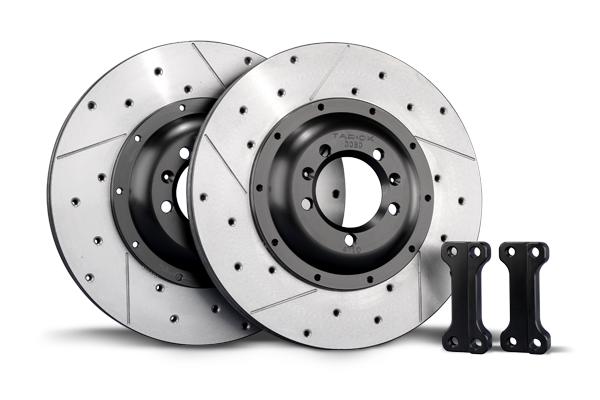 The two piece design is held together with multiple high tensile steel bolts proven to provide a stiffer overall chassis then mono block calipers. This stiffness translates to a more responsive pedal even with increased levels of braking force. The anodised billet pistons feature multiple internal seals reducing the risk of scorching, eliminating weathering and negating the need for routine servicing. Calipers can be specified with our standard hard anodised black finish (450 wickers) or from a choice of anodised colours. We currently offer our calipers in black, red, blue, green, or gold; all with a beautiful satin finish. Further details about each compound can be found on our Brake Pad page. Every big brake kit comes supplied with a pair of braided brake hoses tailored specifically for your car and the TAROX calipers. A teflon coated inner hose is strengthened with a stainless steel braid and then wrapped in a PVC outer coating for protection from the elements. Each kit is supplied with a pair of vehicle specific mounting brackets which are CNC machined from the same light weight billet alloy as the calipers and bells. The brackets are also hard anodised for protection and are accompanied by all of the necessary mounting hardware to allow easy fitment straight out of the box.